Hepatitis C virus (HCV) infection, unrelated to blood transfusion is very common among hemodialysis patients with chronic renal failure. The positivity rate for anti-HCV varies from 18% to 91% among various countries. It is due not only to the past blood transfusions, but also to nosocomial transmission which is preventable. The main route of virus entry, is most likely, the two (arterial and venous) needle holes that are touched by the fingers of the physi­cian and the nurse repeatedly. The recommended preventive measures include: the use of a sterile glove, finger sterilization with a disinfectant solution, immediately before touching the needle/needle hole. and repeated education of the staff. Whether the anti-HCV positive patients should be separated from the negative, largely depends on the prevalence of HCV infection within the dialysis unit. Iron deficiency and anemia remain significant health problems worldwide. These may he associated with developmental delay and poor mental development. A source of exogenous iron, is therefore, advisable after four to five months of age for breast-fed babies. Artificially­fed infants should be given iron-fortified formula from birth. Acute diarrhea may have a profound effect on nutritional status worldwide. After rehvdra­tion, proper nutritional management can mitigate these effects. This paper discusses the advantages and disadvantages of continued feeding, emphasizing that breastfeeding should not be stopped during episodes of acute diarrhea. During the period 1983-1993, 166 pediatric patients(91 females and 75 males) were subjected to upper gastrointestinal endoscopy. Epigastric pain or heart burn and vomiting were the indications in 115 (69 %)patients. Gastritis. duodenitis, and esophagitis were diagnosed in 63 (38 %), and duodenal ulcer in seven (4.2%)patients. Bleeding sites were identified in 10 out of 21 (47.6% )patients with a history of hematemesis. 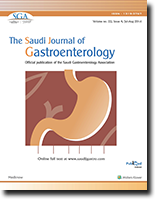 Helicobacter pylori was identified in 12 (48%) of 25 patients with chronic gastritis. Endoscopic removal of foreign bodies (FB) was required in nine patients. Endoscopic small bowel biopsy provided sufficient material to con­firm the diagnosis in seven out of 13 patients with chronic diarrhea. Endoscopic findings were normal in 78 (47%)patients. The procedure was safe and well tolerated. A free radical is an unstable and highly-reactive chemical species capable of independent existence that contained one or more unpaired electrons in its outer orbital. A number of oxygen-derived free radicals (ODFRs) have been identified. However, superoxide (O-2) and hydroxyl (OH*) radicals are extensively studied. The univalent reduc­tion of oxygen to water produces a number of highly-reactive chemical intermediates such as O-2 and OH*, which are commonly-known as oxygen-derived free radicals. ODFRS may be formed from several sources as follows: a) mitochondrial cytochrome oxidase, b) xanthine oxidase, c) neutrophils and d) transitional metals. There are several important defense mechanisms to limit or to prevent the damage caused by excessive ODFRs activity. These antioxidant defenses can be divided into a) enzymatic defense mechanisms such as : superoxide dismutase (SOD): catalase: selenium-containing glutathione peroxidase and b) non-enzymatic defense mechanisms including: alpha­tocopherol; ascorbic acid; glutathione and any sulfhydryl-containing compounds. 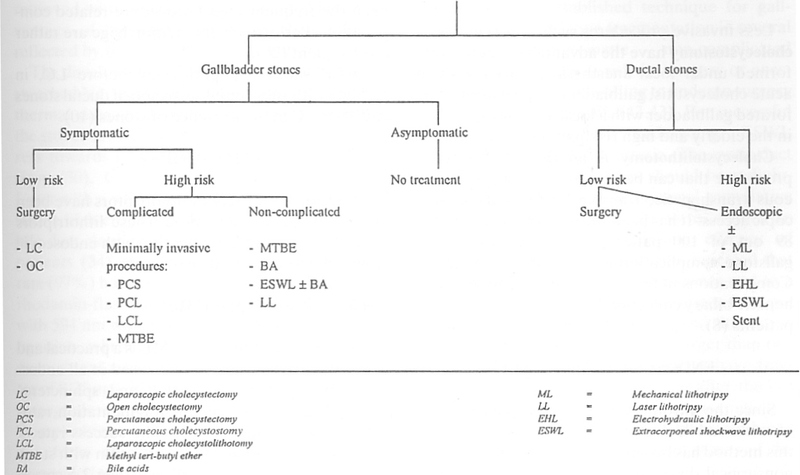 Asymptomatic patients with gallbladder stones rarely develop complications and therefore do not require treatment; in contrary, symptomatic patients should he treated. Nowadays, several approaches are available to treat gallbladder and ductal stones using surgical techniques. chemical dissolvents, frag­mentation, endoscopic and percutancous approaches. The choice of approach is influenced by the site, size and chemical composition of stone, as well as the age, general condition and desire of patient. Surgi­cal approaches are considered as the primary method of treatment. Nonsurgical treatment is considered in patients at high risk and patients unwilling to undergo surgery. The main concern of non-surgical treat­ment is the high recurrence rate, especially after dissolution. Fulminant hepatic failure is a clinical syndrome resulting from massive necrosis or severe func­tional impairment of hepatocytes. This paper reviews the etiology, pathogenesis and management of this condition. Orthotopic liver transplantation may achieve very high survival rates (50-70%). 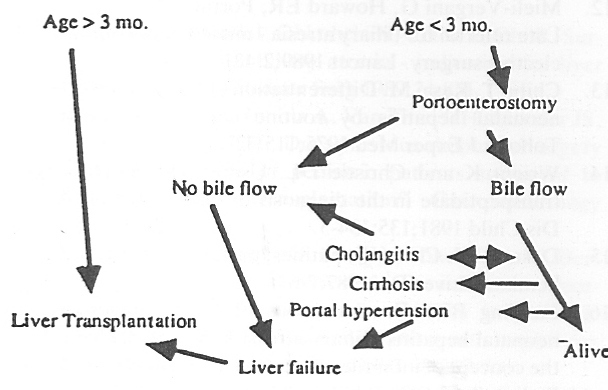 Extrahepatic biliary atresia is a disease of unknown cause, leading to profound cholestasis and progres­sive biliary cirrhosis. 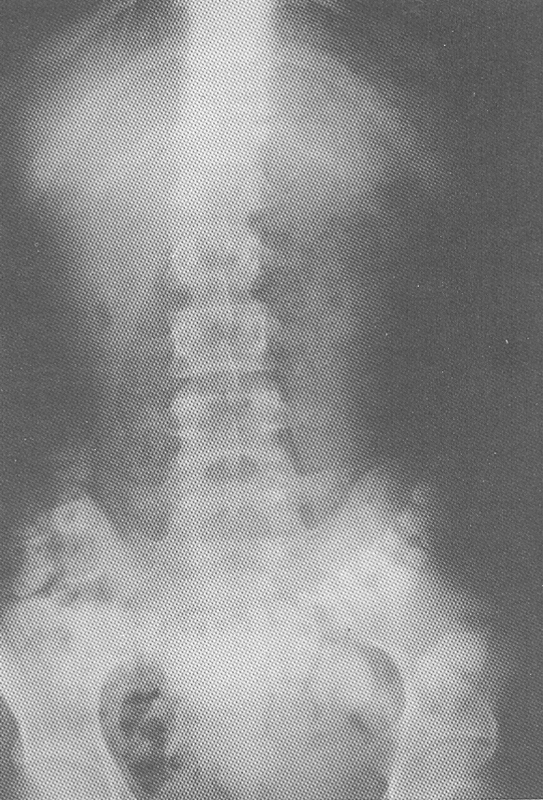 This paper discusses the diagnosis and management of this condition. It is stressed that bile flow can be established in 80-90% of infants referred to surgery within 60 days after birth. Liver transplantation is essential for infants who are referred late (120 days of age or later); those whose initial portoenterostomy was not successful, and those who develop end-stage liver disease in spite of bile drain­age. We report the pattern of liver disease revealed by a study of liver biopsies of 277 adults aged 16-85 years old from January 1983 - December 1993. The most common histological diagnoses were: cirrhosis in 22.3%, chronic active hepatitis (CAH) 16.6%, hepatocellular carcinoma (HCC) in 7.2%, fatty changes in 12% of patients. Less common diag­noses included: Cholestasis in 8 (2.8%), Hemochromatosis in 7 (2.5%), periportal fibrosis in 4 (1.4%), Wilson's disease in 3 (1%), Alcoholic hepatitis in one patient and lymphoma in one patient. Inadequate specimens were encountered in 7 (2.5%). The commonest causes of liver cirrhosis were: Hepatitis C virus (HCV) in 73.3% of patients tested for it and hepatitis B virus (HBV) in 23.2%. Complications related to the procedures were exceedingly low. One patient, with Budd-Chiari Syn­drome required emergency laparotomy to control bleeding. In conclusion, liver cirrhosis, CAH and HCC were common patterns of chronic liver disease in this series. HCV was the most common cause of CAH and liver cirrhosis.